Almost 5°F cooler than last year (53.2°F). April 2018 is in the bag. 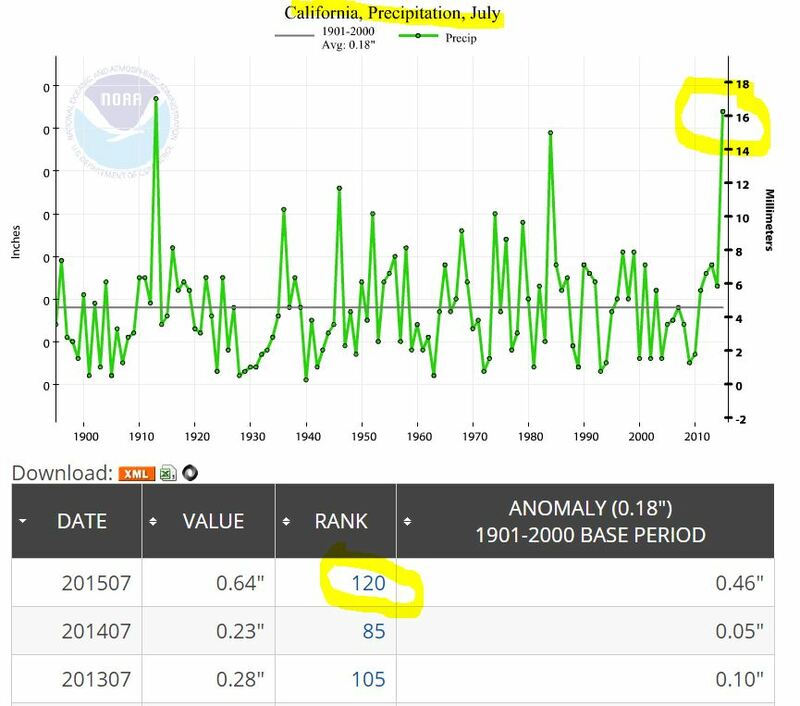 The NOAA ranked October 2015 precipitation in California as 45 out of 121 with 121 being wettest. That means 44 Octobers were drier. Up and down — dry and then wet. That is normal. Its not climate change. NOAA says it was the 15th hottest October maximum temperature since 1895 in the USA. 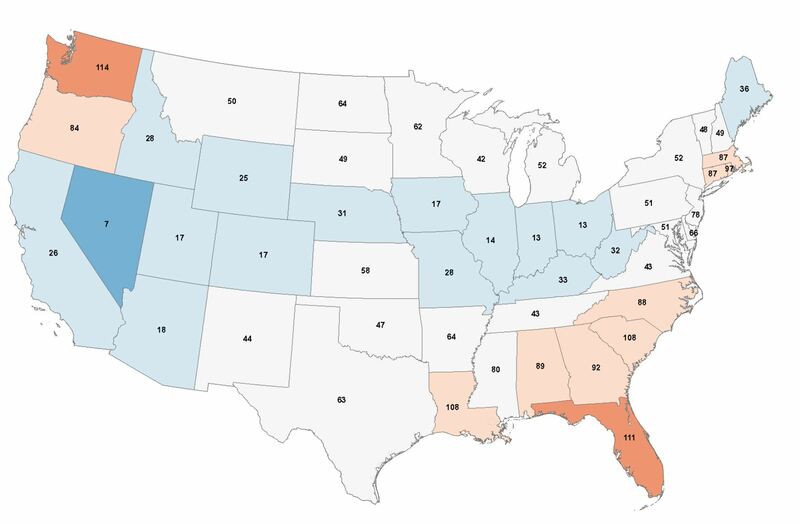 These are the NOAA rankings by state for maximum temperatures for July 2015. A rankingof 121 would be the highest. 1 would be the lowest. Nevada was ranked 7th. That means only 6 July’s in Nevada were colder. All those blue and white states had a pretty cold July.